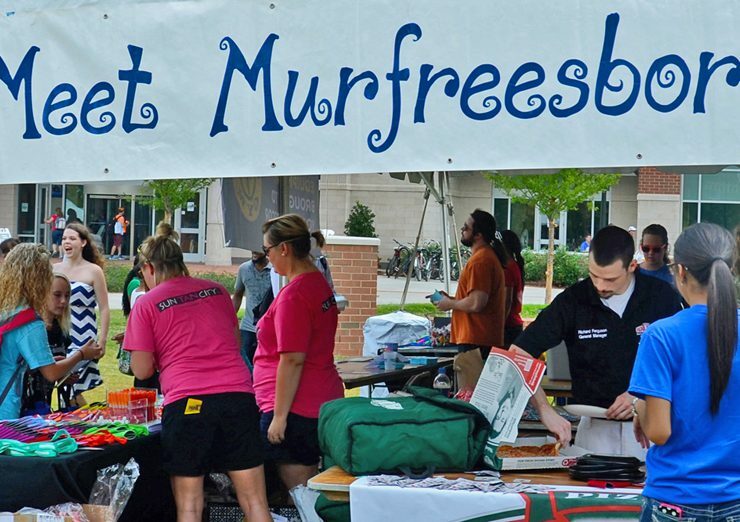 Restaurants, the Smyrna Bowling Center, Murfreesboro Post, churches and more businesses and organizations from the Murfreesboro and Rutherford County community met students, faculty and staff..
Maybe it was the free slices of pizza or hot dogs and chips. 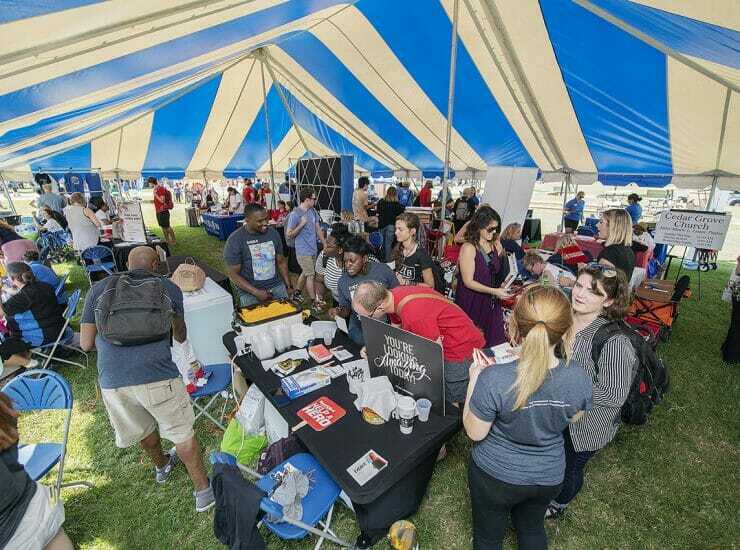 Possibly it was the $5 T-shirts, Smoothie King samples, opportunities to join.. Hundreds of MTSU students, faculty and staff met Murfreesboro as city businesses, restaurants, religious organizations and others showed what they have to offer during the..
New and returning MTSU students, faculty and staff have one additional opportunity to “Meet Murfreesboro.” Day 2 of Meet Murfreesboro — the New Student and..
New and returning MTSU students, faculty and staff have one more opportunity to “Meet Murfreesboro.” Day 2 of the annual New Student and Family Programs.. 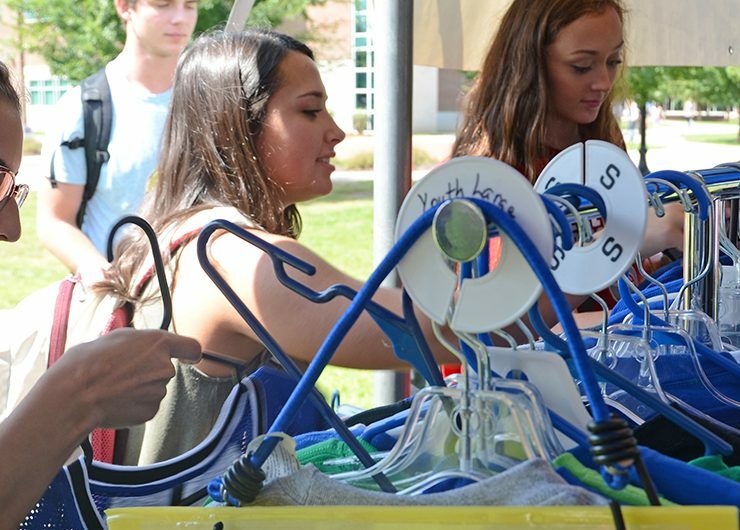 Hundreds of MTSU students converged outside the Student Union Aug. 27 and 28 to sample free food, win a few prizes and learn more about.. 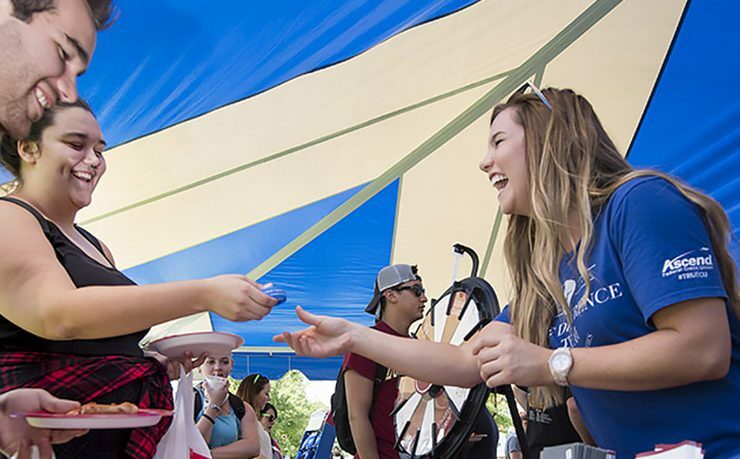 Hundreds of MTSU students converged outside the Student Union Tuesday and Wednesday to sample free food, win a few prizes and learn more about the..
It’s a quick sample of and an introduction to Murfreesboro. 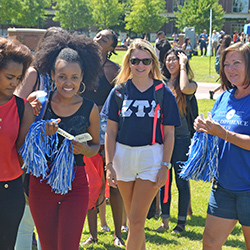 Several thousand MTSU students — many of them freshmen — received a taste of the..